Children’s Mental Health Week is intended to increase awareness about the prevalence of child and youth mental health issues and decrease the stigma associated with mental illness, making it easier for children, youth and their families to seek the treatment they need. For the past month, Kinark staff and clients have been participating in a collaborative art initiative to build a brick wall symbolizing the stigma often associated with mental illness and the barriers that sometimes prevent people from seeking help. As a registered art psychotherapist, I use art daily to help raise awareness and challenge perceptions. 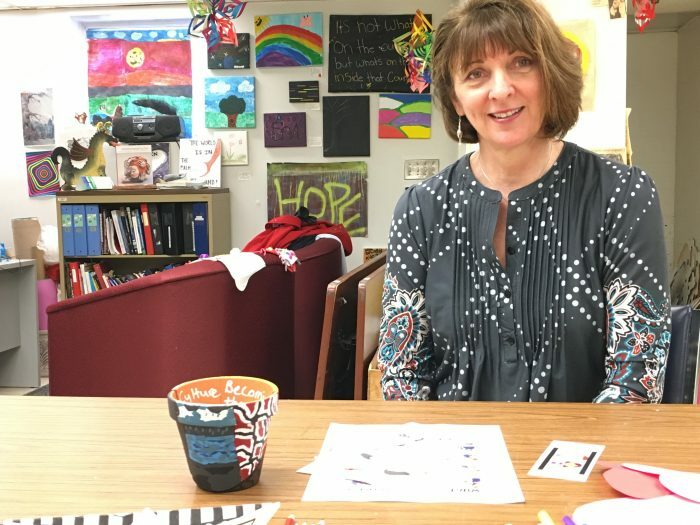 Art therapy at its best is a powerful tool to heal, inspire, provoke, challenge and offer hope. Walls can be powerful symbols of barriers, which can seem impossible to scale or overcome. They can represent both physical and mental obstacles. The social stigma experienced by people with mental health issues can often feel like a brick wall, which is impenetrable and allows no escape from their struggle. Prejudicial attitudes, bullying, stereotyping and discriminating behaviour keep people with mental health issues locked in their own self-defeating walls of fear, shame and isolation. This metaphor of a wall representing the stigma of mental illness is often the elephant in the room in many settings. It seemed appropriate to create an art installation involving as many of our client and staff voices as possible. Youth and staff were provided paper bricks and asked to consider and illustrate how the stigma around mental illness makes them feel, or what they would do to break down barriers. The demand for bricks continued to increase as more and more youth and staff wanted to express themselves. Many people used their brick to share their lived experience of stigma. Although many of the bricks on our wall are not uplifting or comfortable to read, they speak the truth about this very real obstacle that people face when dealing with mental health issues. 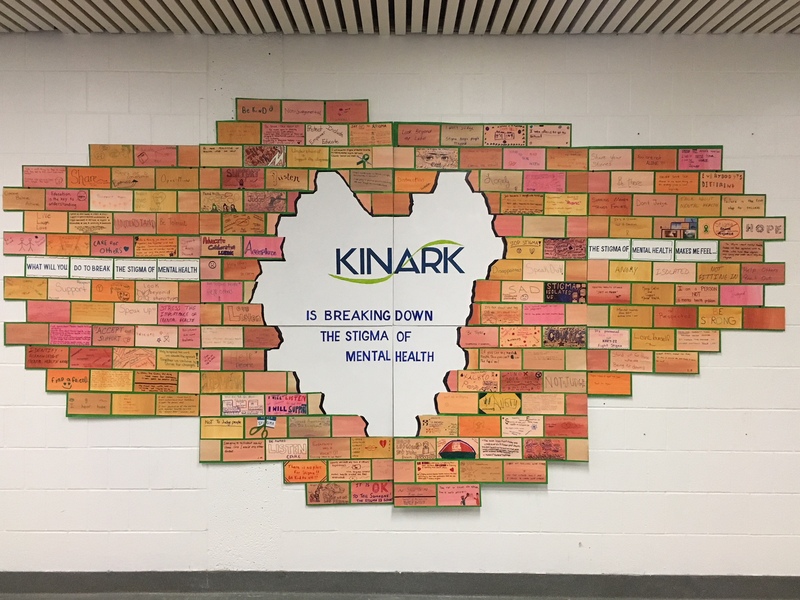 The community of voices, which created the 2018 Children’s Mental Health Week Brick Wall, provides a solid foundation for Kinark to continue to chip away at the stigma associated with mental health. Brick by brick, this wall will be a powerful reminder of why we do the work we do, and the importance of breaking down the barriers to obtaining the help some children and youth need to reclaim their mental health.